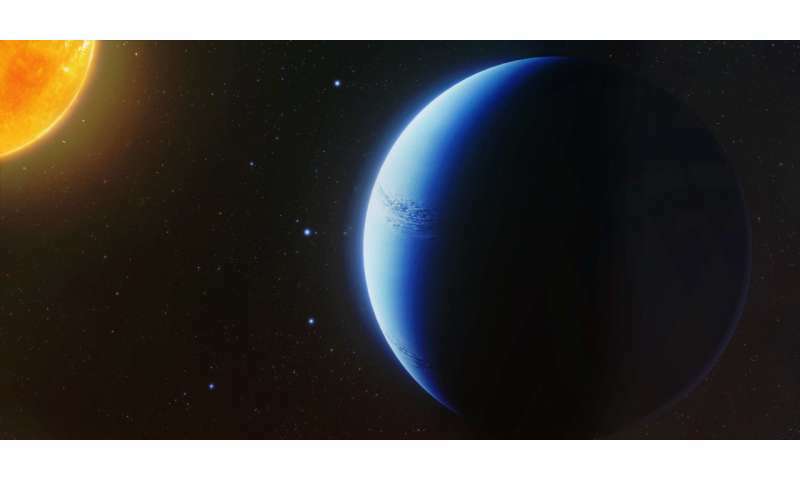 Scientists have detected an exoplanet atmosphere that is free of clouds, marking a pivotal breakthrough in the quest for greater understanding of the planets beyond our solar system. An international team of astronomers, led by Dr Nikolay Nikolov from the University of Exeter, have found that the atmosphere of the 'hot Saturn' WASP-96b is cloud-free. 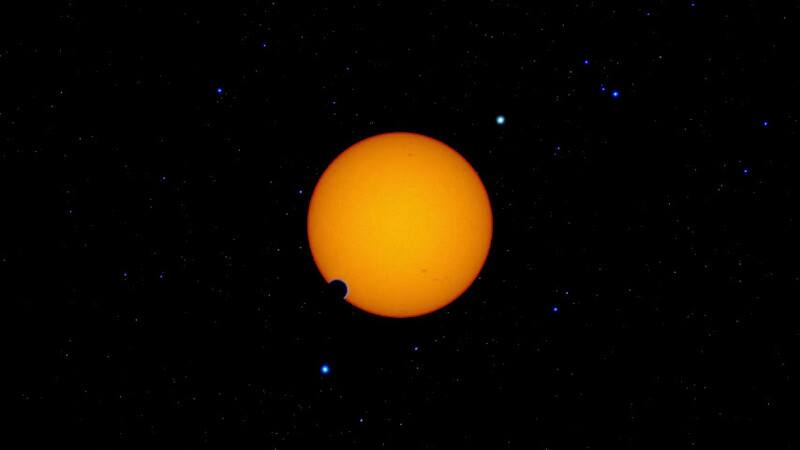 Using Europe's 8.2m Very Large Telescope in Chile, the team studied the atmosphere of WASP-96b when the planet passed in front of its host-star. This enabled the team to measure the decrease of starlight caused by the planet and its atmosphere, and thereby determine the planet's atmospheric composition. Just like an individual's fingerprints are unique, atoms and molecules have a unique spectral characteristic that can be used to detect their presence in celestial objects. The spectrum of WASP-96b shows the complete fingerprint of sodium, which can only be observed for an atmosphere free of clouds. Nikolay Nikolov, lead author and from the University of Exeter said; "We've been looking at more than twenty exoplanet transit spectra. WASP-96b is the only exoplanet that appears to be entirely cloud-free and shows such a clear sodium signature, making the planet a benchmark for characterization. "Until now, sodium was revealed either as a very narrow peak or found to be completely missing. This is because the characteristic 'tent-shaped' profile can only be produced deep in the atmosphere of the planet and for most planet clouds appear to get in the way". "It is difficult to predict which of these hot atmospheres will have thick clouds. By seeing the full range of possible atmospheres, from very cloudy to nearly cloud-free like WASP-96b, we'll gain a better understanding of what these clouds are made of; " explains Professor Jonathan J. Fortney, study co-author, based at the Other Worlds Laboratory (OWL) at the University of California, Santa Cruz (UCSC). "WASP-96b will also provide us with a unique opportunity to determine the abundances of other molecules, such as water, carbon monoxide and carbon dioxide with future observations ", adds co-author Ernst de Mooij from Dublin City University. Sodium is the seventh most common element in the Universe. On Earth, sodium compounds such as salt give sea water its salty taste and the white colour of salt pans in deserts. In animal life, sodium is known to regulate heart activity and metabolism. Sodium is also used in technology, such as in the sodium-vapour street lights, where it produces yellow-orange light. 'An absolute sodium abundance for a cloud-free 'hot Saturn' exoplanet ' is published in Nature on May 7 2018.